Often referred to as “the science of life” and “the mother of all healing,” Ayurveda looks at the whole being (body, mind, and spirit) to find the underlying sources of imbalance and disease, as opposed to simply treating symptoms. This holistic approach provides a practical, intuitive way of looking at skin and the care you provide it. From increasing your digestive fire to detox your skin from impurities to eating foods that feed your skin and hair, Ayurveda can greatly enhance your overall appearance and wellness factor. The first step? Determining your dominant dosha. Dosha is a Sanskrit word used in Ayurveda to describe one’s unique body-mind constitution. There’s no one-size-fits-all, even when it comes to a so-called healthy lifestyle because what may be beneficial for one dosha could potentially be detrimental to another. For example, if you’re primarily a vata dosha (the air and space type), then eating a raw food diet may be too cooling for an already cold and airy system, weakening your digestion and potentially causing excess dryness … even constipation. Vata: This is the air and space type. An agile, thin frame with dry skin and hair are all common physical traits. It’s said that most people in the West need balancing in this dosha as it’s often associated with an overactive mind. Vatas desperately need stillness, a regular meditation practice, and silence for balance. Pitta: This is the dosha associated with fire and transformation. Pitta skin tends to be warm or hot to the touch with a red or pink undertone. Their hair may have a reddish tint with a tendency toward thinning hair or balding. Pittas often suffer from inflammatory skin conditions such as acne, eczema, psoriasis, and rosacea. Kapha: The skin of someone who is primarily Kapha tends toward oily and moist. The Water-Earth elements make up the Kapha dosha. They typically have a thicker bone structure with full, oily, and wavy or curly hair. Because Kapha holds a tendency toward stagnation it’s important to use herbs and oils that are invigorating and non-comedogenic. Start at your feet and use a friction-like motion to brush each area of the body working your way up toward the heart (to promote purification and circulation). Use long strokes on the longer parts of the body like the calves, thighs, forearms, and upper arms. Move in a circular motion around joints. Be gentle in the sensitive areas of the body such as the breasts, armpits, and belly, but these areas should not be avoided — just use lighter pressure with shorter strokes. Take a warm, organic oil and slather it on from head to toe. Then, start at the top of the head and scrub the scalp with the oil as if lathering shampoo. 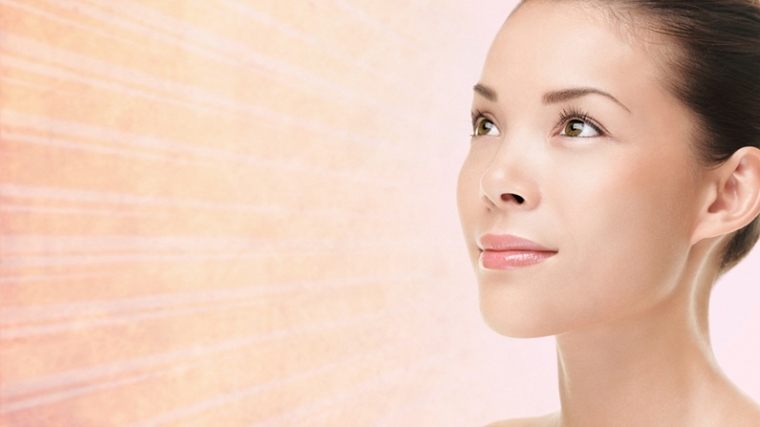 Oil your face with circular motions and leave no area of your body untouched. Moving all the way down to your feet, spend quality time on each area of the body with a firm friction/rubbing motion. When you’re done with your oiling, leave the oil on your body and jump into a warm/hot bath or steam room. 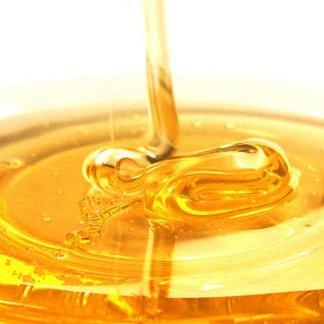 The heat opens up the pores, allowing your body to release impurities in the system and let the oils penetrate deeper. Steaming is a cornerstone to good health in Ayurveda. The trick is to apply a pure oil to clean, dry skin first. The oil enters through the pores, binds with the amma (toxins) and then is expelled through the pores, detoxing the entire body. Once your skin is clean and ready, it’s time to steam. Place two tablespoons of dashamula or another blend in water in a large pot and bring it to a boil. Turn down the heat to simmer for 5-10 minutes. Very carefully place the pot on a table and sit closely in a chair with a sheet or towel over your head and the pot of steam. Breathe normally and allow the steam to penetrate the pores. Alternatively, you can strain that same dashamula water and place it into a hot bath and soak for 10-15 minutes. If you opt for a bath and don’t have any herbal blends, a simple salt soak will also do wonders. Neti pots are used to treat many ailments, but one of its greatest uses is to clear the nasal cavity of any debris and mucus that prevents proper oxygen flow to your entire body. Try using a neti pot with Himalayan sea salt in the morning followed by some pranayama exercises to send fresh oxygen to all your cells for glowing, radiant skin. Enjoy the Wonders of Neem! 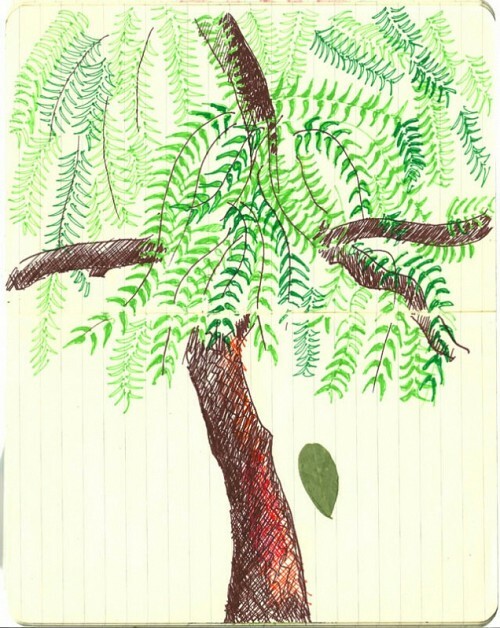 Cracking the Secrets of Neem: Why is Neem such a wonder tree? Modern research studies have discovered that it contains both alkaloids and liminoids, each with an array of medicinal properties. For instance, oneliminoid (azadirachitin) has been found to be 95% effective when used as a pesticide and insecticide. Probably the most common use of Neem bark is to clean the teeth. The traditional method is to snap off a twig of the tree and chew on it. The astringent qualities of the bark prevented bleeding gums, tooth decay and foul smell long before the advent of toothpaste. Neem leaf is famous in ayurvedic texts for having an almost magical effect on the skin. It works as an antifungal, antiseptic, and anti-inflammatory agent. It is effective in treating eczema, ringworm and acne. Traditional methods include crushing the leaves into a paste and applying directly to wounds, ulcers or skin diseases. Neem leaf has both pungent and astringent tastes. According to Maharishi Ayurveda, the Neem leaf is especially useful in balancing Vata disorders. It removes ama and other toxins from the body, purifies the blood, and neutralizes damaging free radicals. It is nourishing to the hair (keshya). Neem leaf is also revered for its antibacterial and antiviral properties. Even today in India, people sprinkle fresh Neem leaf near the beds of patients with flu or fever, and hang a cluster of leaves on the door outside. The air that crosses the neem leaf is purified of viruses and bacteria, helping to disinfect the room and prevent the spread of disease. The oil is derived by crushing the seeds. Like the leaves, Neem oil is used to treat skin problems. It is especially effective in treating head lice and dandruff, and creates a purifying effect when used in aromatherapy. Fortunately, you can enjoy the benefits of Neem oil, bark and leaves even if you don’t have a Neem tree growing in your front yard! Here are some simple ways to use Neem for your teeth, skin and hair. Brush your teeth with Ayurdent, a completely natural, flouride-free ayurvedic toothpaste that contains Neem bark. It helps heal sore gums, prevents tooth decay by strengthening gums and teeth, and creates a fresh feeling in the mouth. Ayurdent cleanses deep toxins from the teeth and oral cavity and is especially effective when used right before bed. Enjoy the magical effect of Neem leaves on your skin by bathing with Neem Aromatherapy Cleansing Bar. These natural soaps contain Neem leaves combined with other essential oils. Mild and healing, they smell delicious, too! 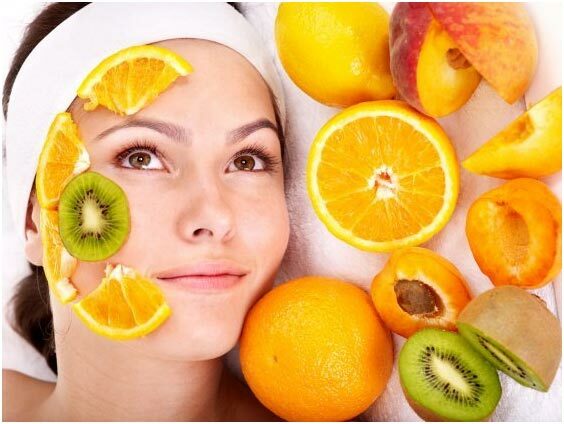 Take Radiant Skin or Elim-Tox herbal supplements. Both Neem leaf and Neem bark are contained in these formulas, helping to purify the skin and flush out toxins from the sweat glands. Combine 10% Neem oil with 90% coconut or sesame oil. Apply to the hair and massage the oil into the scalp. Comb the oil through to make sure it is evenly distributed. Leave it on overnight. In the morning wash your hair with Herbal Flaky Scalp Shampoo. Repeat five to sixtimes, on alternate days, until the lice have disappeared. This formula also helps flaky scalp. NATURAL TEETH WHITENING AND GLOWING SKIN FORMULA! Oil pulling is one of Ayurveda’s most ancient forms of detoxification for not only the teeth but the entire system. It is a great way to achieve better digestion, healthier skin and to cleanse toxin’s out of your body. In this holistic ancient medicinal approach, there is a term my teacher often uses, ” more wants more”. In terms of cleansing the mouth, why put something acidic in your mouth in the morning or evening when the mouth is usually trying to eliminate acidity? 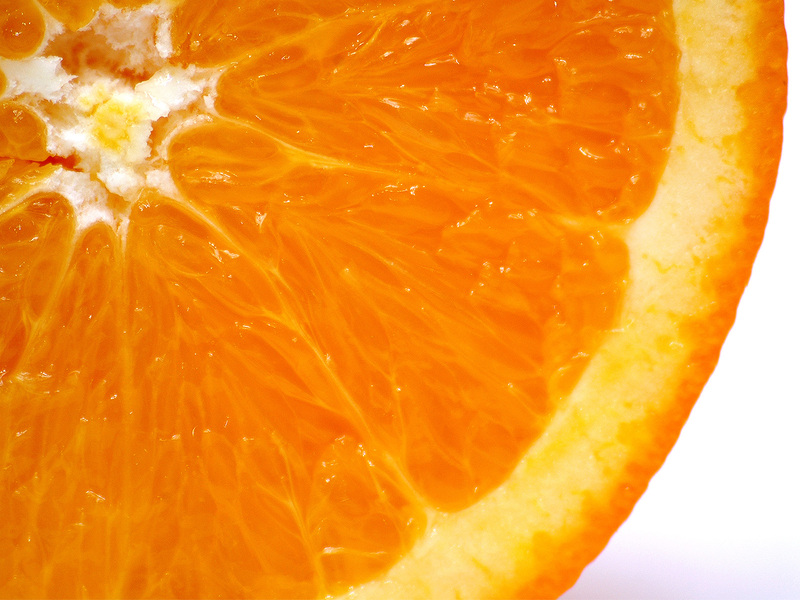 Toxins often taste acidic? Acidity in the mouth comes from a P.H. unbalance in the system. In other words, more acidity with more acidity will not help cleanse the mouth. This will usually even damage the teeth by burning the enamelled protection layer of your teeth. There are different types of toxins and you can easily determine this by looking at your tongue in the morning. In Ayurveda the best time of day to practice oil pulling is in the morning. Toxins surface on the tongue after a night of rejuvenation. This is the most effective time of day to practice oil pulling. It can also be practiced in the evening or any time of day. 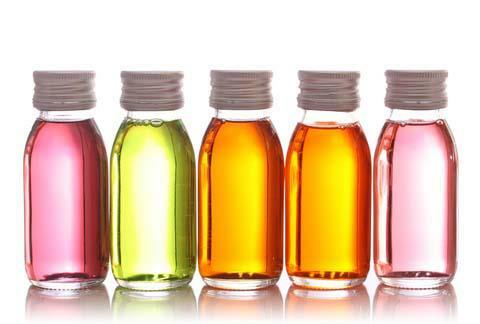 Make sure to buy good quality organic oils to receive the full benefits. “How Does Oil Pulling Work? Sesame oil, coconut oil all have benefits. Sesame and coconut oils herbalized with are used in Ayurveda regularly to detoxify or “pull” toxins from the skin that they are applied to. The theory is the oils are lipophilic, meaning they attract other oils. The fatty layers in our skin are well-known dumping grounds for fat-soluble toxins. Start today for brighter and whiter teeth, beautiful skin, a pleasant breath. 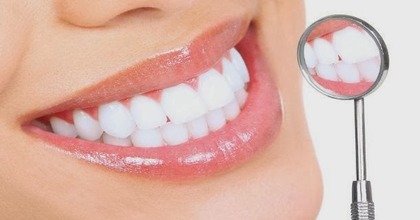 It can slowly eliminate stains from the teeth. Oil pulling even gives healthier hair, healthier gums and a lustre to the eyes! Coconut and almond oil can be used on all 3 types of toxins but the one recommended is the best.